Mark your calendars! 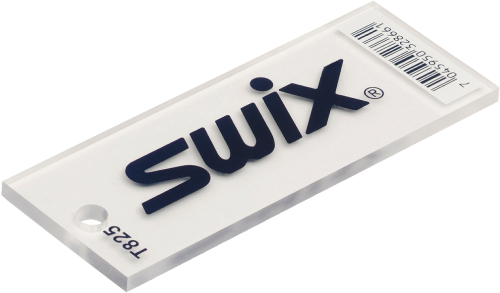 Avie’s Ski / Sports will be having Bruce Diehl from SWIX coming to the shop on Thursday, December 13th at 6:00 PM. Bruce will be running a SWIX tuning clinic for Avie’s ski and snowboard customers. If you have been thinking about tuning your own skis or snowboard, now is the time to put your thinking into action. Mark your calendar with the date and time above. The SWIX tuning clinic will take place at Avie’s Ski / Sports at 100 Main Street in Westerly, RI. Here in New England, having sharp edges is a real necessity. Much of our time on the slopes sees crusty, hard pack, and even icy surface conditions. Sharp edges set at the correct angle will help your ski or snowboard bite into the snow surface. Bruce Diehl will demonstrate during the SWIX tuning clinic how to get your edges in shape to handle the often harsh New England conditions. Too many times I see ski and snowboard bottoms that look like the image on the right. They should look like the image on the left. It’s a shame. Skis and snowboards without wax just don’t slide well. What’s the purpose in that? Bruce Diehl will demonstrate how to properly clean the base and apply a conditioning wax. The base is then ready to accept a wax designed for a given range of temperatures. Sound complicated? Not really. Especially after Bruce walks us through the SWIX line of “designer” waxes and their proper use and application. During the SWIX tuning clinic, Bruce will show how to remove the wax properly by scraping. 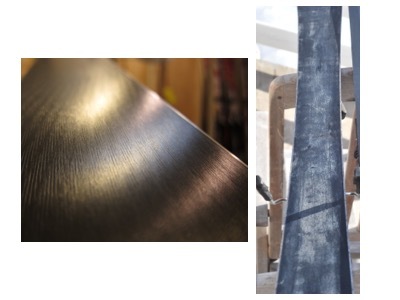 That will be followed by a demonstration of how to buff the base—using a hand brush and when using a roto-brush tool—to a super slick, super fast finish. Waxing is critical. When you see me go flying by you on a flatter section of the ski slope, it’s not because I’m such a wonderful skier. It’s because I’m such a wonderful ski waxer! Wax makes a huuuuuuuge difference! So be sure to get to Bruce Diehl’s tuning clinic. It’s at Avie’s Ski / Sports. It’s FREE. Thursday December 13th at 6:00 PM. Plan on the SWIX tuning clinic to last for about an hour or so. 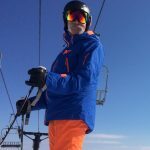 Actual length will depend on how many questions get posed as Bruce Diehl from SWIX works through the process of tuning a ski or snowboard to perfection. To help us gauge interest and get the shop set up to accommodate those that plan to attend, please RSVP to: tuningshop@aviesskisport.com You may want to also check out Avie’s Ski / Sports Do-It-Yourself web page on ski and snowboard maintenance as a primer to the SWIX tuning clinic. For those who attend the clinic, Avie’s Ski / Sports will offer 20% discount on SWIX tuning tools and supplies directly following the clinic. This entry was posted in Gear Knowledge, Store Events and tagged SWIX, tuning on November 14, 2018 by Alan Desbonnet.